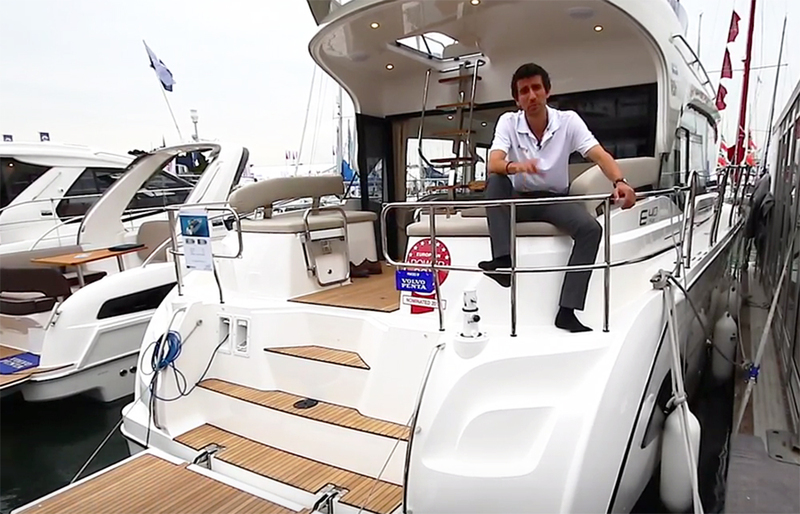 The new Nautitech 40 from Bavaria has been designed for comfortable safe cruising, particularly for the Mediterranean market. 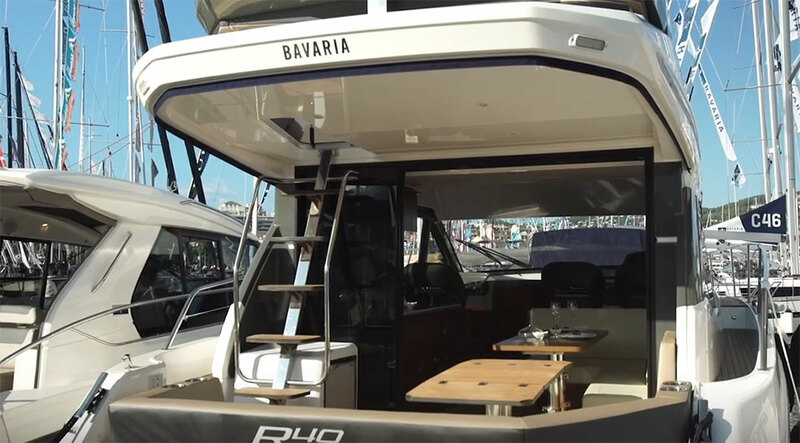 What Bavaria has done is put a great deal of emphasis on the social aspects of this boat, they have redesigned the lounge area, and made the cockpit area much more sociable. 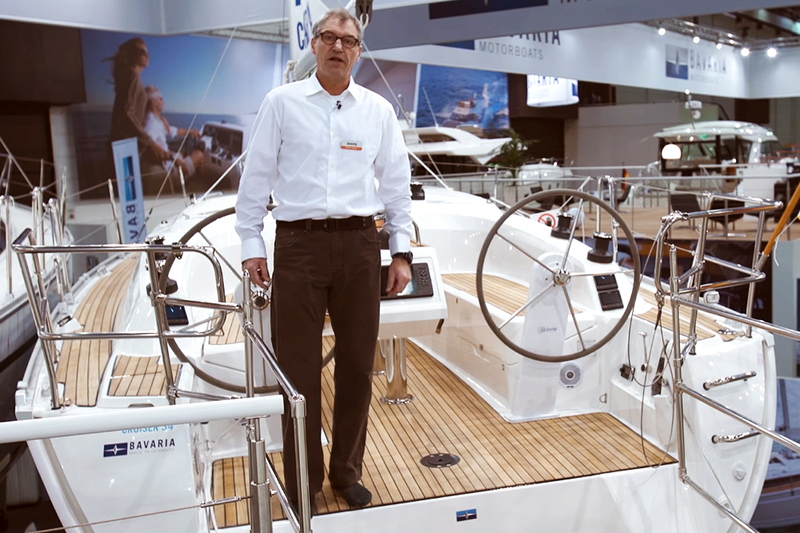 The Bavaria Nauitech 40 is available in two distinct options. 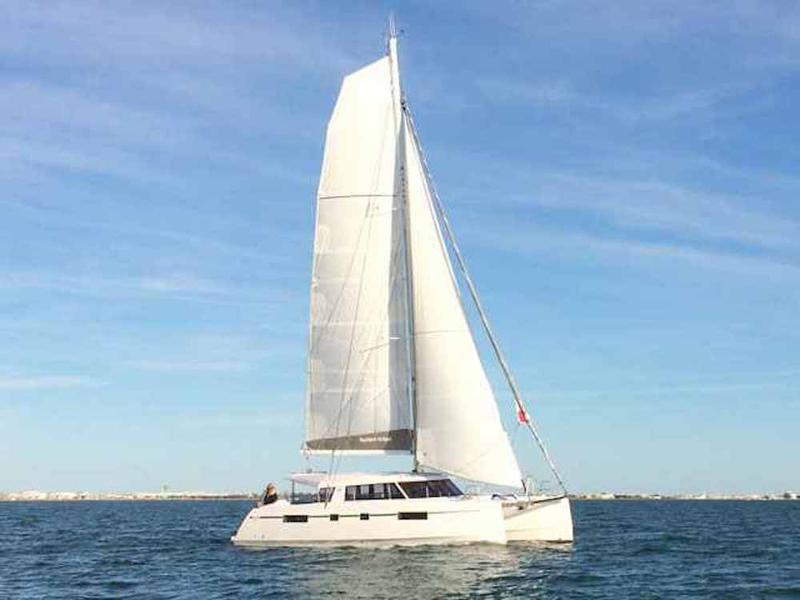 This boat has the owner's cabin where the whole of one hull is dedicated to the owner's accommodation, with en suite facilities, but you can get it with four cabins to accommodate four couples. The decor is very nice, nice light wood, and the air conditioning is great. 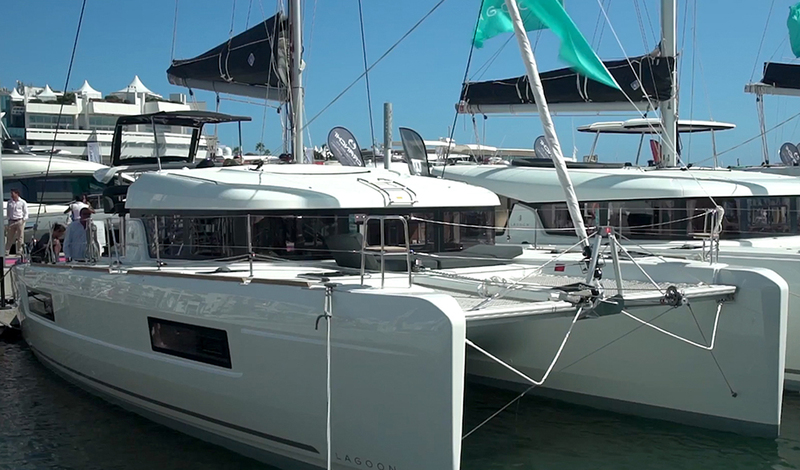 Being a catamaran, of course, there are two separate helming positions, all the controls of the boatare here on this lovely B&G touchscreen. There's a lovely view forwards and it's a great socialising area, your guests, your crew are nearby. 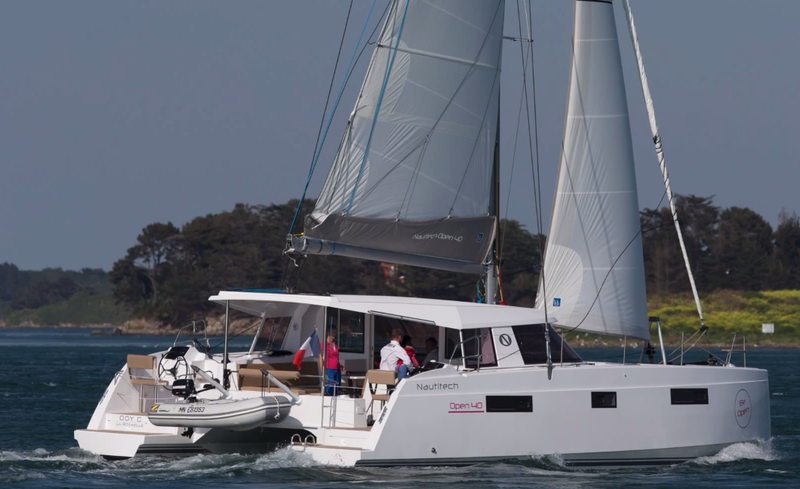 The real advantage of a catamaran is the sheer amount of deck space you get, what a lovely area for just lounging and catching the rays. The net has two sun loungers on it, and if you like dolphins, there are two dolphin watching seats. It's all very easy to sail and easy to manoeuvre. 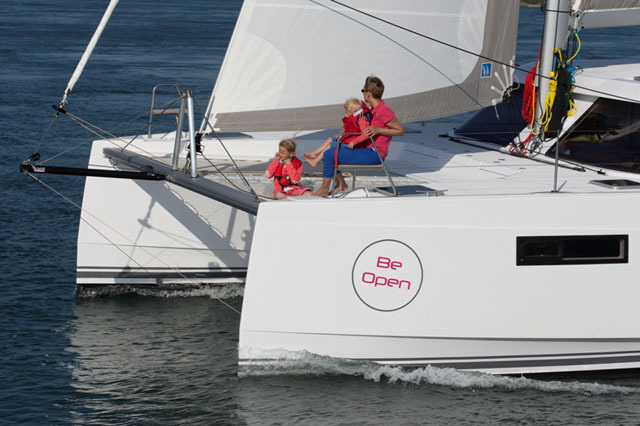 Read more about comfortable cruising catamarans, or search all Bavarias for sale on boats.com.